The following is a guest post by Meaghan Yorke. Meaghan is a web designer who is quite passionate about writing. These days she is all about researching various IT related topics. When she is not working she enjoys dancing classical ballet. Branding is more than a logo or an established slogan. It goes much deeper than that. A brand is a perception of your business through the eyes of the customer, the experience provided behind your product or service. It’s what makes your business reside in the hearts and minds of the consumers. Branding and SEO work great in sync as they both paint the natural representation of your brand - no gimmicks. Users trust and rely on search engines to provide best, relevant and personalized results. Consumers trust and rely on brands to provide the best recommendations, personalized experiences, and trustworthy relationships. Although SEO performance can be quantified, branding KPIs are a bit vaguer. But there’s an underlying connection between these two that drives organic growth. Not to argue which one is better. Let’s elaborate. What drives your click in Google SERPs for specific queries? How often have you clicked the first result? Organic link CTR isn’t as concentrated as previously stated by the people in the industry. Since 2011, the organic CTR in Google SERPs has been dropping for the first ranked result down the line for the rest. A more recent study suggests that top organic results drive up to 20% CTR while positions #2 to #5 range 9%-12% CTR. This isn’t a whole lot lower and it suggests that people who just started shopping around or are researching a topic they’re not familiar with, are going to click on a result they are more familiar with. And this is the link between SEO and branding, your mantra and starting point - a familiar brand name will give you a greater chance of click-through even if you aren’t positioned as #1 in the SERPs. Well established brand presence is vital for your SEO strategy success - the greater the CTR on your result in SERPs, the better link, and rank positioning. Two words - Featured snippets. The appearance of rich snippets has been increasing in SERPs over the past few years. Knowledge boxes, direct answer boxes, question and answer panels just to name a few. GoogleMyBusiness should be your first business listing - it’s your doorway to branding in Google SERPs. For any branded keyword search query, GoogleMyBusiness listing will appear in the right side panel of the SERP along with additional data such are your social media profiles and shared posts on your Google+ page. In order to compete for featured snippets in SERPs, your websites posts and pages need to have a valid HTML5 markup and structured data implemented in form of microdata or JSON-LD. This helps add context and structure to the content fields of your website and makes it easier for the web crawlers to understand the semantics and meaning behind it. This is something that top digital agencies with a technical SEO background should be able to implement seamlessly in your websites page and post templates. Web crawlers ARE getting smarter in content interpretation though. Providing great user experience should always have priority over technical on-page search engine optimization. Content beats code, so focus on becoming an authoritative figure in your industry, market, and niche by creating topic-relevant content that brings value to the end user. It’s essential not only for better SEO performance but for building brand awareness as well. Link building is a cornerstone of any SEO strategy. Signals from backlinks make up to 23% of total confirmed Google ranking signals today. 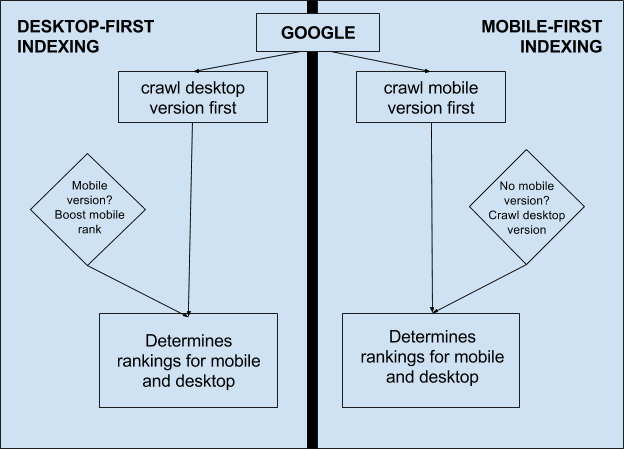 Your positioning in SERPs is directly proportional to the number and quality of backlinks acquired from websites across the web. In layman terms, link building can be seen as a sort of endorsement. From the branding perspective, it’s way harder to build quality links and in volume without having a well-established brand. High-quality publications with established and knowledgeable communities are most likely to have a strong editorial team behind it. A good editorial practice is to always check the brand and the representative that reached out in its name for social profiles and their recent backlink portfolio. If a brand or its representative is shady or new, they will most likely be denied of any publication or simply ignored. So it becomes way harder for them to acquire a quality backlink on a topic relevant website. And there’s the other side of a coin. If your brand is well established with a strong online presence, it will be much easier for you to acquire natural, organic backlinks across the web, without a direct outreach. Authoritative industry representatives that blog and publish across the web usually research their topics and back them up with sources from blogs, publications, research and whitepapers published on well-established websites. If you were to publish a piece on a blog that has a strong branded image and a community behind it, it will most likely be used as a reference in future publications. And if this was your website, you may certainly hope for it to be naturally referenced and linked back to from other topic relevant websites. Let’s set up an experiment, here’s an example - we’re using non-personalized Google search to look for “microdata markup for web agency”. You can use this link. The official library any experienced technical SEO specialists would definitely visit is Schema.org, but it doesn’t contain any information about this markup, it’s non-existing. So which of the results would you click on if you aren’t familiar with the topic? Which result would you refer to if someone asks you the question? Which one of them would you use as a reference in your publication? Let me guess, it isn’t the same result that answers all of the above. This somewhat goes without saying but people are more likely to find what they’re after if they know what they’re looking for. If a user googles your brand name, they are most likely looking for you and what you have to offer. These users are already familiar with your brand and what it has to offer so the probability of click-through and conversion is greater. Branded keywords prune the competition. By syncing your branding strategy with SEO engagement, you are getting on a right path to growing brand recognition. In time, you will be able to drive brand searches with more conversion value than of those search queries made by users who are just starting to shop around. When starting out, without any previous online presence, you can focus your marketing efforts on SEO performance. Techniques like link building will get your website noticed by search engines, and if done properly, will start ranking in SERPs. However, focusing on branding from the early stages is a much smarter move. Branding strategies help you build name, reputation, and authority. It opens a path to establishing a strong online presence. And it definitely improves your chances of acquiring natural links and brand mentions. Either way, the crawlers will crawl. The user experience is what will always prevail. The following is a guest post written by Raul Harman. Raul is editor in chief at Technivorz blog. I have a lot to say about innovations in all aspects of digital technology and online marketing. You can reach him on Twitter. Nowadays, modern businesses compete for both market position and customers. With so many various companies competing for the same thing, it's very difficult to ensure your business can stand out from the others properly. The online world provides many opportunities for companies to make a name for themselves, but not every company is able to do so. The main reason is that businesses oftentimes choose the approach that's not best suited for them. In that case, you're only wasting valuable time and resources on marketing and promotions without yielding any viable results. If you're uncertain on which approach to take, in order to outrun your competitors, remember that everyone uses a search engine, such as Google to find something online. Therefore, if you want your business to stand out, you need to focus on building your organic search traffic. In other words, you must become more visible and more accessible online. Here are a few easy tips to boost your organic search traffic. SEO (Search Engine Optimization) is a cost-effective marketing strategy that will boost your online visibility and organic web traffic. The purpose of SEO is to help your website appear on the first page of search results on search engines, such as Google. To achieve that you must rank for the right keywords that your audience most commonly uses in their online search. In addition, those keywords must be relevant to the products or services your business offers. Appearing first on search results is perceived by consumers as a recommendation from search engines. If Google placed you on the first page it must mean your business is worthy enough to check out. SEO doesn't only make you more visible, but also improves the trustworthiness and credibility of your website. That means that you'll get much more organic traffic by having good ranking, than by investing in paid advertisement. SEO requires that you properly optimize your website, in order to rank well on search engines. However, that's not the only reason you should focus on website optimization. Consequently, you're optimizing your website for the customers and the organic search traffic as well. Customer experience on your website plays a major role in determining not only your ranking, but your reputation as well. If your website is fast, secure, easy to navigate, user friendly and responsive enough to meet customer expectations, you'll more likely to favor referrals and recommendations from your website visitors. That means that if you give consumers what they need, they'll boost your organic traffic by recommending you to others. As an example, an easy way to achieve this is to make your website super fast. You can opt for a hosting solution, such as cPanel hosting. That way, you can make immediate improvements to your website speed on your own and without having to procure services from web developers or designers. Guest posting is an activity of sharing your content across various reputable sources, such as websites or blogs. The purpose of this activity is to build your authority and presence online, in order to position yourself as an industry expert. Not only that, but with guest posting you're also improving your exposure, allowing you to reach a broader audience. The more relevant and high-quality your content is, the more engagement you'll drive from different audiences. What's more, you must target only the reputable sources to share your content with, because that way, you'll gain more relevant and more organic traffic for your website. Building your reputation and domain authority through guest posting allows you to stand out on the market. That way, more people will be willing to visit your website by reading the interesting content you've provided across various media channels. Social media platforms are the main hub for businesses these days. The main reason is that social media networks put you in direct contact with your target audience. That being said, there's no better way to gain organic search traffic than it is to generate leads on social media. This allows you to lead consumers to your website with little to no cost at all. The main reason is that you can build presence on social media organically, which means you don't really have to leverage paid ads if you don't wish to do so. Engaging in conversations with your customers and sharing content with them allows you to build more personal relationships with your audience. Not only that, but you can launch social media marketing campaigns to build more awareness about your business. What's more, you can leverage social media influencers to ensure that your content and your promotions are more welcomed by the audience present on social media channels. The better your presence is, the more likelihood of people visiting your website or researching your business online. When it comes to online exposure for businesses, organic traffic is the best way to get the recognition and attention you need. Organic traffic means that consumers are checking out your business because they want to and because you've managed to pique their interest. The more organic search traffic you have, the more chances your business has for outrunning competitors and ultimately more chances of reaching success. The following is a guest post by Raul Harman. Raul is editor in chief at Technivorz blog. I have a lot to say about innovations in all aspects of digital technology and online marketing. You can reach me out on Twitter. Marketing isn’t a static aspect of a business. That’s why marketers follow it constantly and make endless adjustments to optimize for better performance. Without measuring the effects marketing has on overall business, there is no way of knowing its results. If left unchecked, this can cause pointless spending that leaves people questioning its value to the company. However, marketing is very much capable of delivering results, and this can be proven. All you need to do is measure it. Take a look at these tips and metrics for measuring marketing effectiveness. Use them to evaluate your own marketing efforts, and they will help you understand how important it actually is for your business. KPIs are metrics used to measure how effective a business is at achieving its key goals. It also helps determine whether your ROI is positive or negative. When talking about marketing, this translates into metrics the track and measure performance across multiple channels. By setting up KPIs to measure the relevant features of marketing, you have an accurate, data-based overview of what tactics work for your business. While KPIs include multiple types of metrics, from conversion to engagement, deciding what to follow can be a difficult task. That’s why you need to focus most of your attention on actionable metrics, such as retention, which calculates the revenue from repeated business. This also makes you stop measuring vanity metrics that don’t drive the business forward, and concentrate on actually measuring marketing for performance. Conversion rates are used to determine how effective your marketing efforts are at driving leads along the sales funnel. Tracking them across multiple channels allows you to check how much the leads are converting into customers during the buyer’s journey. You can also use the conversion rates to measure the effectiveness of your content. This will help you make adjustments to increase content performance, especially when using A/B tests to double the conversion. So, while you may think that another CTA button on your landing page is too insignificant, it might boost the clickthrough rate and turn a couple of leads into buyers. While marketing relies heavily on analytical tools to generate data, sales and customer support don’t. They interact with real people on a daily basis, which allows them to gather more accurate information and know why, for example, the company saw a spike in sales during the last month. Staying oblivious to this kind of data prevents marketing from knowing how to act and react in certain situations. One way of getting around this problem is through performing paid surveys online. It allows marketers to receive relevant feedback from customers and align campaigns according to first-hand information, as well as analytics. To generate the most authentic results, remember to target a large test group, and stay focused on one piece of information at a time. The cost of acquiring new customers is a key marketing metric for determining how much a business needs to spend in order to earn. It also has the potential of being used to establish the marketing budget, and prove the spending is warranted. It’s also fairly simple to calculate. Add up all the spending on marketing for one month (including payroll) – that’s your monthly marketing budget. Now, divide it with the total number of customers acquired for that same period. So, for example, if you spend $5,000 per month on marketing and receive 50 new customers, your CAC is $100. Regularly calculating this number gives you an overview of how productive your marketing efforts are, and how much you will need to spend to move it forward. After knowing how much it costs to acquire a customer, you will need to calculate how much that customer is worth to your company. This is their LTV. To calculate a customer’s LTV, multiply the standard amount the customer spends with the number of repeated purchases and the average retention time. Say your customer has an LTV of $75, and your CAC remains $100 - that’s not good for business. However, if your customer annually spends $75 over four years, your business makes $600, so the cost of $100 for their acquisition is reasonable. Since no customer is the same, comparing CAC with LTV lets you figure out the effectiveness of your marketing when it comes to delivering the right kind of customer to your business. Use these performance metrics to see how much business is being driven solely by marketing. This will not only measure the effectiveness of your marketing efforts across all channels, but also their quality. Remember to use multiple metrics over a longer period of time. In doing so, you will have a blueprint of how, where, and when to invest money into marketing in order to achieve quick results and long-term goals. The following is a guest post by James Gorski. In addition to being the editor at designrfix and writing about tech, web and graphic design among other subjects, James loves “unplug” and be outdoors hiking and enjoying nature. 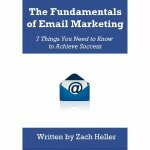 In the age of social media, some businesses might think that email marketing campaigns no longer matter. However, email is still an important part of digital marketing and it's something businesses have greater control over. Reaching an intended audience doesn't rely on Facebook algorithms or Google rankings. It does rely on engaging content, consistency, and authenticity. Businesses struggling with leveraging an email campaign take note of these three essential aspects of email marketing. Yes, the goal of an email campaign is often a vehicle to sell a product or service. When people subscribe to an email list, they know they're going to open their inboxes to a certain amount of hard and soft selling. That being said, not every piece of content written for an email campaign should be about selling. Instead, it needs to be about giving the subscriber value. This goal is achieved by writing engaging content that solves a problem for the subscriber. Or, content that entertains and make the person want to stick around for more. Email campaigns that provide value, present solutions, and entertain not only get higher engagement, but fewer people hit the unsubscribe button. Remember, an email campaign only works when there are subscribers clicking the open button. Some campaigns last weeks, while others might only last a day or two. Whatever the timeframe is for a particular campaign, success depends on consistency. Businesses that create an email schedule and stick with it see higher click-through rates and, ultimately, greater sales. What is the ideal email schedule? That's a question that each business must decide for itself. Businesses need to consider their customer, the product or service they're selling, and keep in mind that people get 20+ emails in their inbox each day. Email too often and the customer might get overwhelmed and turned off. Send emails too far in between and the customer is likely to forget why they signed up. Many email marketing providers allow users to test send times. Businesses that don't have a clear idea of when the majority of their subscribers open and read their emails are missing out on powerful data. Take the time to test different send times before engaging in a major email campaign. Send out a few emails referencing company news or a new blog post and try out various send times. Businesses can then use this data to create a send schedule for their future email marketing campaigns. Businesses need to have firm grasp on their brand identity and the product or service they sell. The biggest mistake a company can make during an email campaign is trying to mimic other companies' sales copy and voice. Consumers recognize inauthenticity and imposters right away. During email campaigns businesses must write authentic content that speaks directly to their consumers in a manner that the consumer expects. Because many email providers like Yahoo and Google regularly filter for spam, it's also a good idea for companies to write subject lines that sound like they are talking to friends. Keeping sales copy out of the subject line means businesses have a better chance of ending up in their subscribers' inboxes and not the trash/spam can. Email marketing offers businesses a solid "in" to their customers inboxes. It's a marketing tool that significantly impacts sales and other actionable responses when done with care. Businesses who take advantage of email marketing benefits nurture consumer relations and, in turn, retain customer loyalty.